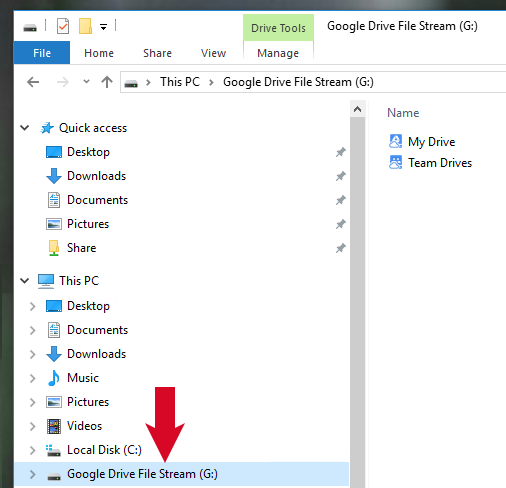 Sometimes Google File Stream stops syncing your G drive / google drive files for various reasons – the below outlines some steps to get it back to normal. 1. In your computer’s folders, you should see the G Drive as on option in the left hand column. 2. 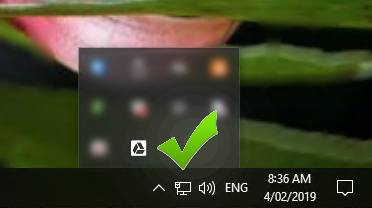 If the G drive is missing, firstly check that you can see the icon for Google File Stream in your task bar. If you can’t see it, scroll down to Problem A below. If you can see it, click on it and see if it has a blue ‘Sign in’ clearly visible, and if so, scroll down to Problem B below. 3. Please review the below problems that you might notice at step 2 above and follow the steps relating to your problem. If your problem isn’t detailed anywhere below, please contact helpdesk@danebank.nsw.edu.au with a detailed description of your issue. On Windows, click on the windows menu in the bottom left corner, scroll down to applications beginning with D and click on ‘Drive File Stream’. You should then see the Drive File Stream Icon appear in your task bar after a few seconds, in which case your G drive should be accessible again. You should then see the file stream Icon appear in your taskbar and your G drive should be accessible again. 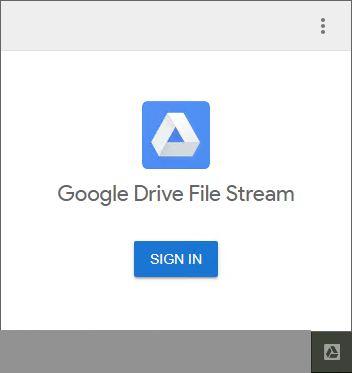 On both Windows and Mac, when you click on the icon you should see a blue sign in button as below which means Google Drive File Stream isn’t logged in properly. Click the ‘Sign In’ button and sign in with your Danebank email address and password, and you should be able to access your G drive again once you have successfully signed in.